There is generally an inverse relationship between size of breed and length of life - the larger the dog, the shorter the expected lifespan, and vice versa. St. Bernards, for example, normally only live from 7 to 11 years, while Chihuahuas can be expected to survive from 15 to 18 years. Mixed breed dogs are usually less prone to genetically inherited disorders than purebreds, and can normally be expected to live a little longer than a dog with a pure blood line. Of course we are talking about lifespan here in connection with death by natural causes, or diseases expected to accompany old age. Obviously, individual health problems can shorten a dog’s life considerably. Dogs are subject to a number of conditions that can shorten life, including cancer, heart disease and diabetes. While the onset of these diseases can seem mysterious, there are many who believe that poor diet can play a role, since it is well established that diet is a significant factor in the development of chronic, life-threatening health conditions in human beings. Despite the fact that dogs are carnivores, commercially produced dog foods are made primarily from grain, not meat. These foods are also heavily processed, which removes moisture and adds nutrients in a manner that may not be ideal for their absorption by the canine body. Many are convinced that reliance on such foods is shortening the lives of dogs artificially, and that these foods are the reason why so many older dogs suffer from such a wide variety of health ailments including arthritis, tooth rot, and kidney failure, as well as the aforementioned cancer, heart disease and diabetes. Many believe that raw food diets high in protein are a healthy alternative for dogs. Unfortunately, there have not been enough studies on the effects of diet on the health of dogs to draw any definitive conclusions. But common sense would suggest that if processed foods are bad for humans – which has been demonstrated in controlled studies – then it stands to reason they would be bad for animals as well. Another interesting fact is that there have been a number of dogs in recent years who have lived far longer than expected, into their 20s, and in every case these dogs have been fed food normally eaten by humans instead of dog food. The oldest living dog in recent times, a bull terrier mix from Australia, lived to the ripe old age of 27 on an exclusively raw food diet. Genetic disorders that can cause diseases or other chronic conditions that shorten a dog’s life are found in many breeds. One of the most common is hip dysplasia, a painful and degenerative condition that can cause great suffering in a dog and eventually become so debilitating that euthanasia becomes the only humane alternative. 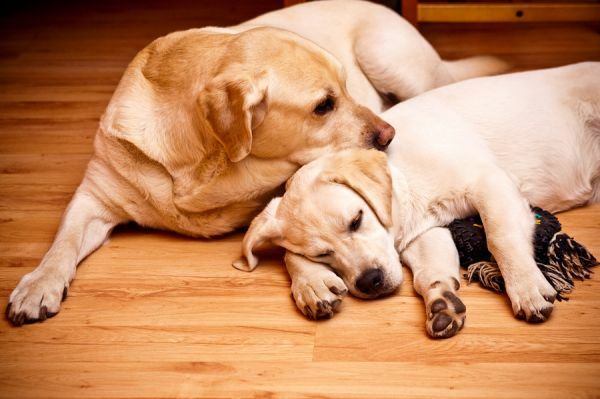 There is no way to protect a dog from his genetic inheritance; the only precautions that a prospective dog owner can take is to try and get their animal from a breeder who can provide certificates and other medical information that demonstrates an absence of serious genetic defects in the lineage of the dog that you will be taking home. Whether commercial dog foods in and of themselves are complicit in the diseases and conditions that help shorten the lives of dogs is controversial. However, no one disputes that obesity is a major reason why health problems like heart disease and diabetes develop in dogs. Like humans, the canine metabolism slows down as they age, which is why older dogs should be eating about 30-40% less than they did when they were younger. Spaying can help to eliminate the risk from certain diseases and conditions connected with reproductively, and this is reflected in better longevity statistics for spayed females. However, there have been some studies done that seem to indicate neutered dogs live a shorter amount of time than unaltered dogs, although the evidence is not conclusive. Suggestions to explain this surprising finding have focused on cancer, specifically urinary tract and prostate cancers, which appear to occur more often in neutered males. 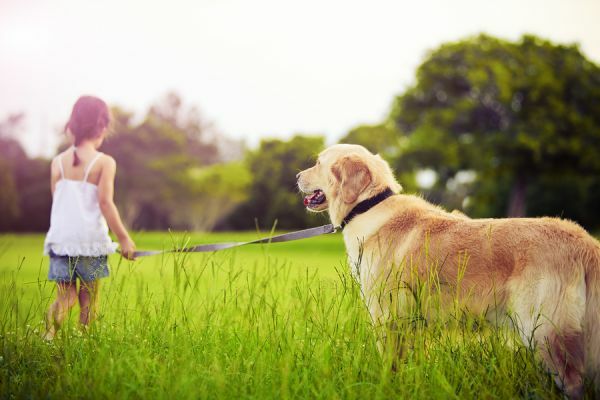 Some have pointed out that whatever the statistics might indicate, neutering stops a male dog’s need to roam, and this can eliminate a lot of dangers a dog might face out in the world. There are steps that need to be taken to insure your dog maintains optimum health. Whenever a new animal comes into your home, the first thing you need to do is immediately take him to the veterinarian so he can get whatever shots or other health treatments he might need. You also want to ask your vet about any vitamin supplements or special kinds of dog food that might be available that is of a higher quality than commercially prepared foods. A raw food diet might be something worth considering, but it would be better to seek out the opinion of people who have had their dogs on such a diet rather than simply relying on the opinion of your veterinarian alone. Also, if your dog eventually develops certain medical conditions, there may be ways you can help him using nutritional remedies. For example, a supplement containing Omega-6 and Omega-3 oils can do wonders for itching and other skin problems, while glucosamine and chondroitin are often like a miracle drug for dogs suffering from arthritis. Longevity in a dog is only partially determined by genetics. If you take care to feed him a healthy diet, combined with regular visits to the vet, this combination alone can help extend his lifespan. Indeed exercise should go without saying as being an excellent way to keep your dog as healthy as he can be. The most important thing, however, is to educate yourself about what can be done to preserve and improve your dogs health, and to do so with an open mind. In other words, don’t be afraid to think outside the box – if other dog owners have had success keeping their dogs healthy using approaches that are not necessarily familiar to your veterinarian, those ideas might very well be worth trying out with your dog, too.